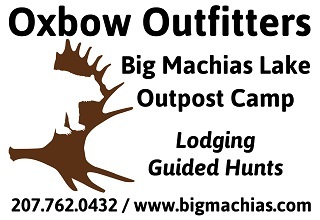 Big Machias Lake Camps has a different philosophy on what most people call a “guided hunt”. We specialize in making sure the client has the most memorable and relaxing experience ever. We have field to freezer planned out. Our camps offer full accommodations for a comfortable stay. All you have to do is show up. All previous clients will be glad to speak with you about their successful hunting adventures. References are available upon request.